The Lost Sea Cover Up can be worn two ways, a staple tee dress on one side, and a playful v-neck strappy design on the other. 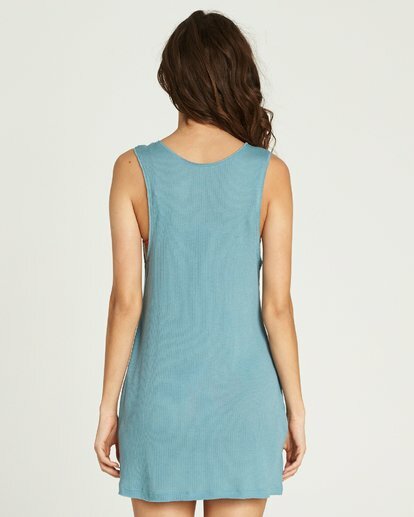 Made to wear as a casual dress or cover-up, this style features a muscle tee cut with a rib knit finish. Low v-neck with crisscross strap detail. Material: cotton and modal knit.